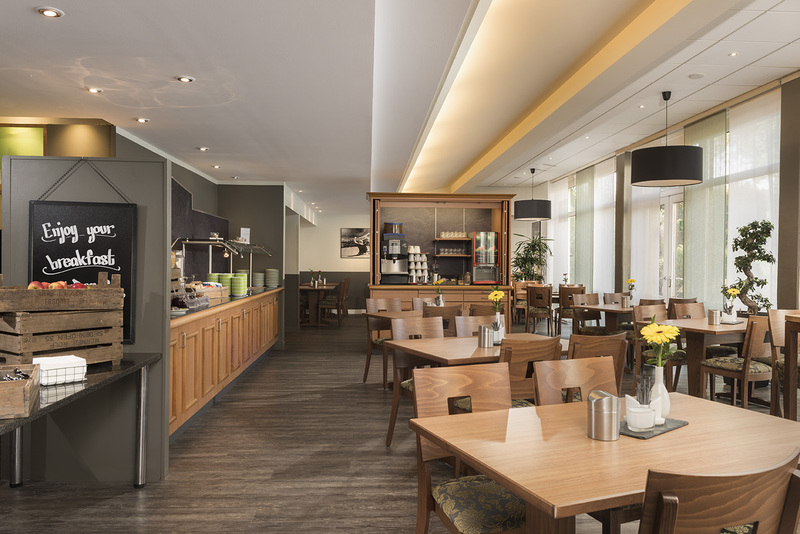 The three-star ibis Hotel Dortmund West is situated with easy access to the A1 and A45 motorways within the suburb of Dortmund Oespel, in the vicinity of the industrial area. By car, you are only six kilometers from the Dortmund Westfalenhalle. 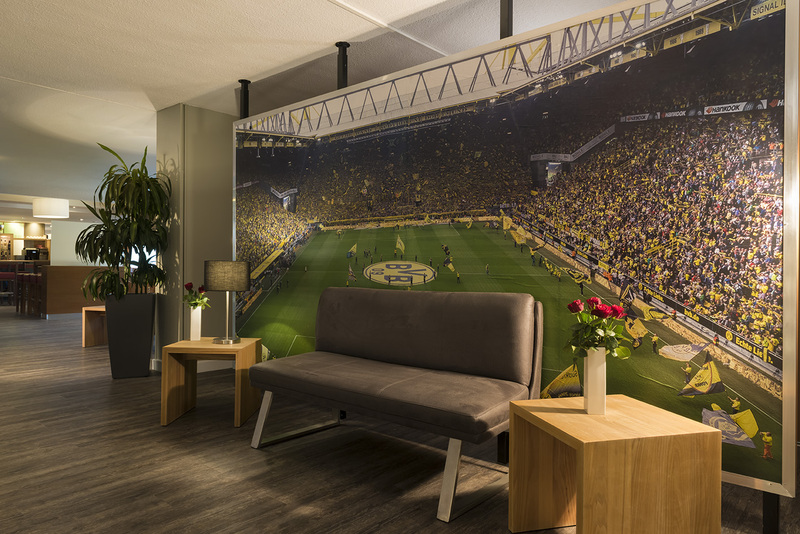 To the city centre of Dortmund and the main railway station, the ibis Hotel Dortmund West is about eight kilomerters away. 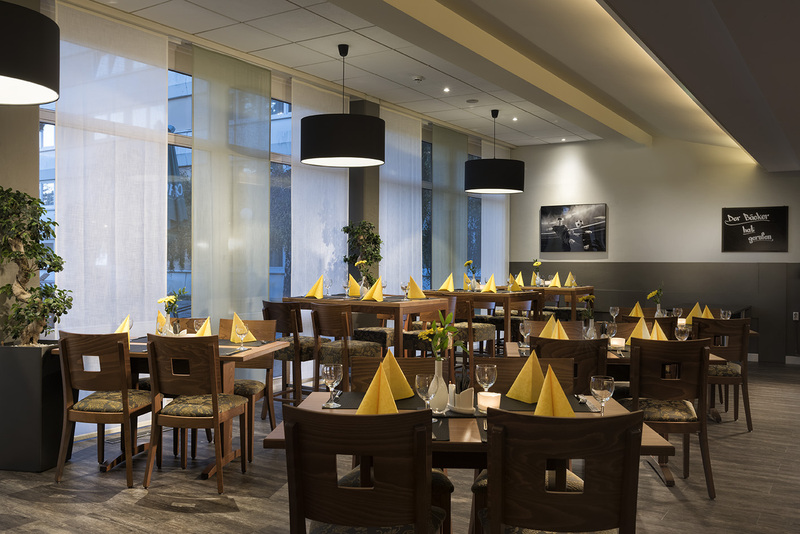 The hotel restaurant "La Table" offers uncomplicated surroundings for hours together, with a wide variety of daily and seasonal dishes and regional specialties. 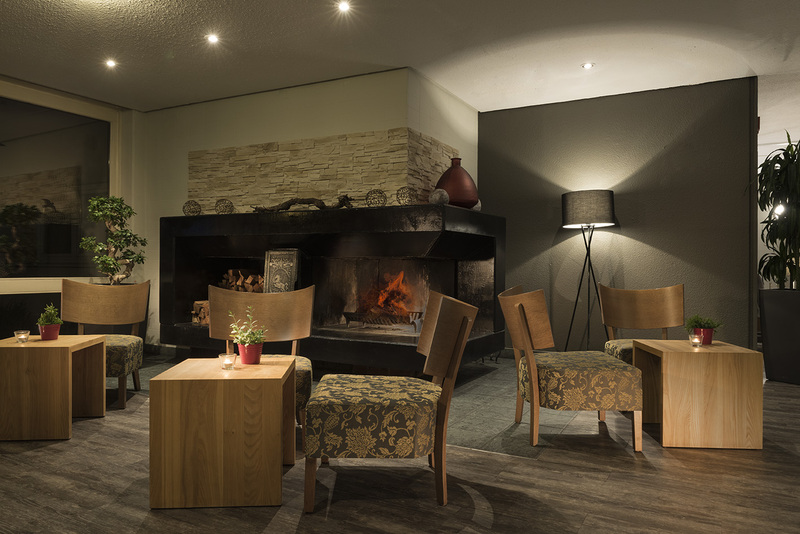 The ibis bar in our Dortmund hotel is always - day or night - a cosy meeting place or spot to relax. In summer, we serve on the large terrace. Dortmund is the business and trade centre of North Rhine-Westphalia and the largest city in the Ruhr. Main sights of Dortmund are for example the Reinoldikirche, the Westphalenhalle, the U Tower and the Westfalenstadion (Football ground of Borussia Dortmund). 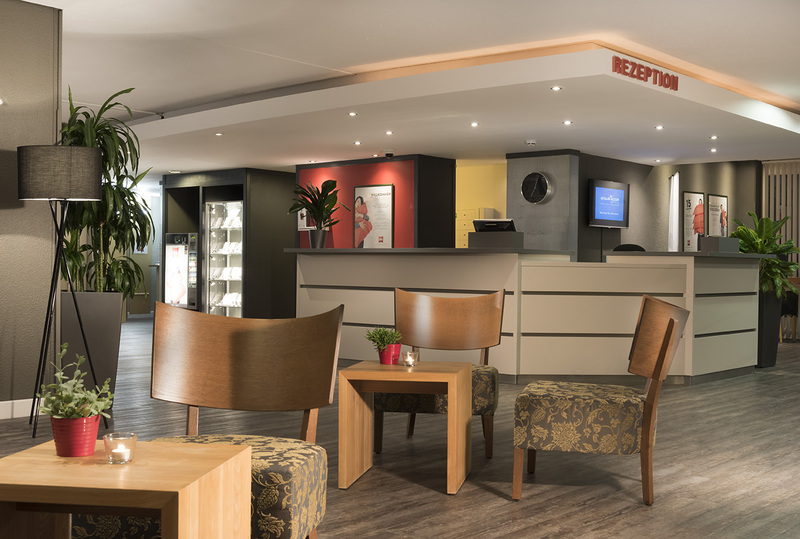 The ibis Hotel Dortmund West is looking forward to your visit! 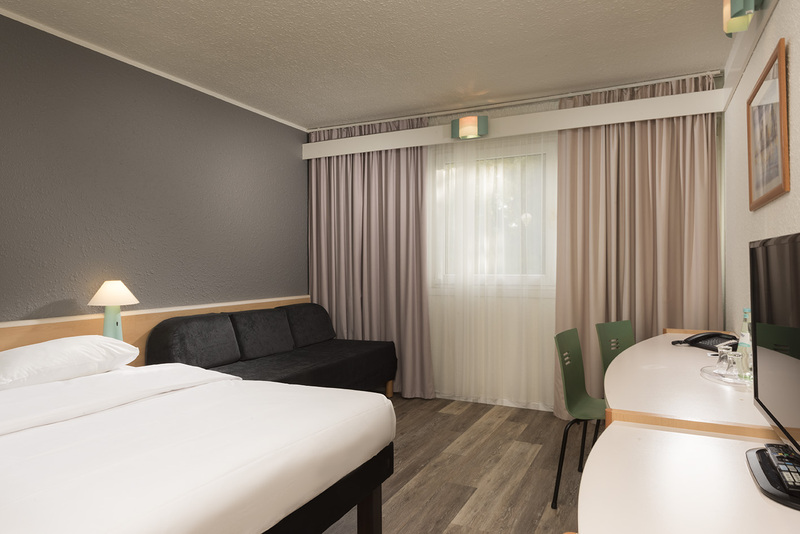 At the ibis Hotel Dortmund West, you are well-connected to the highway A1 and A45. Here, you stay close to the Westfalenhalle in Dortmund. 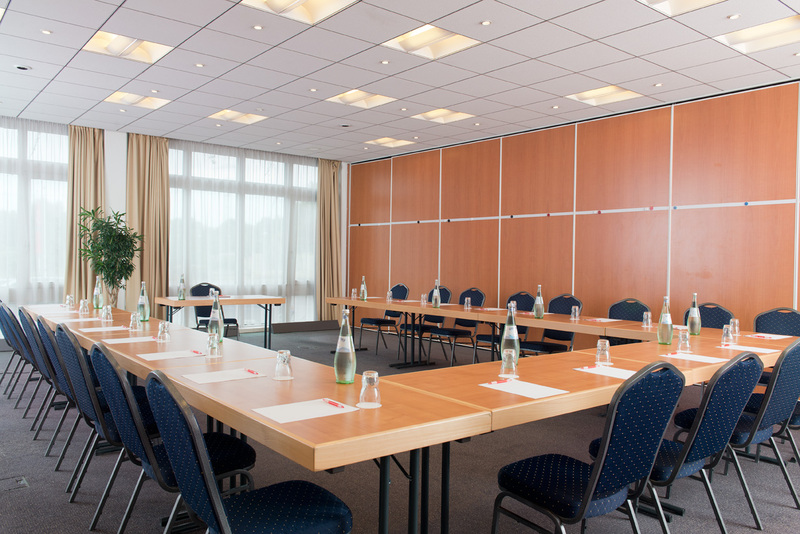 Our Dortmund hotel offers for meeting rooms for 150 people, free parking lots, hotel restaurant with garden terrace and a delicious breakfast buffet. Book online and discover the most beautiful hotels in Germany. Find best price deals, specials, travel tips and meeting packages under GCH Hotel Group.